2014 was the year of the ‘selfie’ as declared by Twitter. The generic term ‘selfie’ was mentioned more than 92 million times on Twitter – 12 times more compared to 2013 (source: BBC News Trending,). And 2015 should be even higher. This new habit is shared among all ages (47% of all adults admit to taking selfies1) and all social categories; remember the ones taken by Barack Obama or with Pope Francis. An interesting fact is that among the top 6 things that people would retouch in real-time before sharing, there are skin blemishes (33%), face shape (16%), skin tone (15%) and eye shape (5%)1. So why not offering cosmetic products to take control of the skin so every day is selfie day #nofilter. Blur creams are ingenious creams that instantly soften the imperfections and erase the look of fine lines, pores and wrinkles, giving a smoother, more youthful radiant complexion. They are skincare and color cosmetic hybrids, as they contain both skincare ingredients and light reflectors to provide long-term benefits and an instant reduction in the look of wrinkles. They work by creating an optical illusion on the surface of the skin. Chromocare™ is a perfect ingredient to include into such a cream as it will provide long term radiance to the skin by improving its color. Chromocare™ acts on the three visible skin’s chromophores, responsible for the color our eyes perceive, by reducing melanin and hemoglobin and improving collagen. 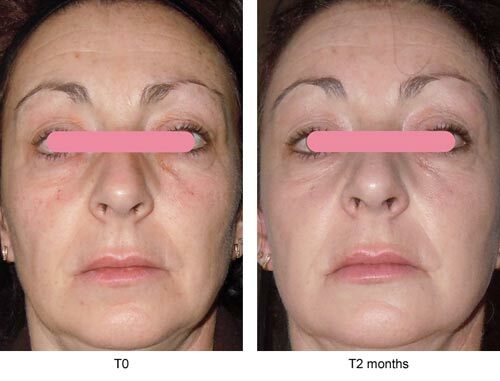 The result is an improvement in skin’s uniformity and luminosity for a fresh, younger looking complexion. Another active that would perfectly fit in blur creams is Prodizia®. Indeed this active ingredient fights the cutaneous signs of fatigue: dark circles, under eye bags, dull complexion and drawn features. By protecting and repairing the skin from the damage caused by glycation and glycoxidation, Prodizia® makes the skin prodigiously refreshed. Take control of oily skin and get rid of associated inflammatory blemishes with Sebuless®. Issued from plant cell culture, an eco-designed production mode, Sebuless® acts on every known process leading to oily skin and associated blemishes: hyperseborrhea, microbial proliferation, inflammation, hyperkeratinization and hyperpigmentation. A consumer study was carried out on 100 volunteers (mean age 24) and demonstrated that Sebuless®, within only 1 month, made the skin less shiny for 70% of the panel. There was a consumer-perceivable improvement in the appearance of pimples and red spots with over 70% of volunteers reporting a more purified skin appearance. 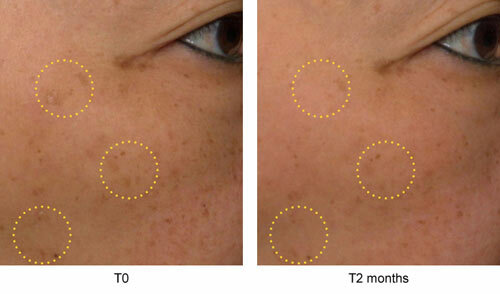 Another kind of spots to fade is age/brown spots and Měiritage™ is the right active ingredient to do so. Inspired form Traditional Chinese Medicine, Měiritage™ is an association of three root extracts that counteract the oxidative stress from UV and pollution and thus melanogenesis. Result is a noticeably more uniform complexion with faded brown spots. And the icing on the cake is that it also reduces wrinkles. With these products, the answer to the question “Ready for a selfie?” will always be ‘Yes, sure”. To know more about the presented products, don’t hesitate to click on their name to receive literature and sample. And you can also contact us for more customized information about how we can help you with your product development.